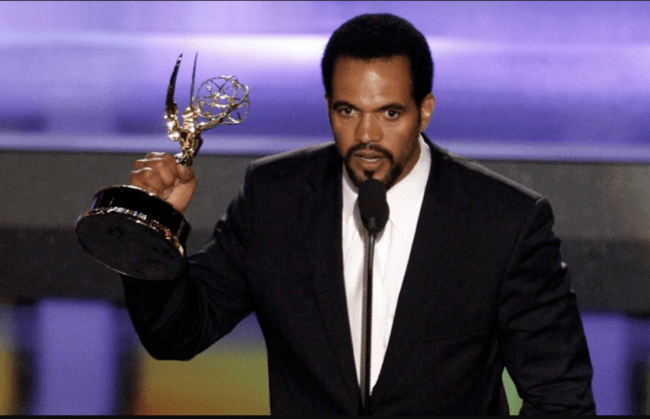 The internet is buzzing with news of the death of fan favorite Kristoff St. John, who played Neil Winters on the long running daytime soap opera Young and the Restless. The popular star’s death was confirmed by his attorney Mark Geragos. The actor was nominated nine times for Daytime Emmys. In 1992 and 2008, St. John won Emmys for best supporting actor for his role on Young and the Restless. He also won 10 NAACP Image awards for best actor in a daytime series. Many don’t know that St. John was also a writer and producer, creating, producing and hosting the CBS series, ‘CBS Soap Break,’ an up close and personal look at CBS soap stars. The D.C. raised actor wrote, produced and hosted two installments of a behind-the-scenes video series entitled, ‘Backstage Pass to the 25th and 26th Annual Daytime Emmys’. He also produced and starred in an exercise video for children along with his late son Julian and daughter Paris. Many remember St. John from his childhood work including ‘That’s My Mama,’ ‘The Cosby Show,’ ‘Roots the Next Generations’ and feature films like The Champ (1979), starring Jon Voight and Ricky Schroeder. He also guest-starred on many series including ‘Martin,’ ‘Living Single’ ‘The Jamie Foxx Show,’ ‘A Different World,’ ‘Love that Girl’ and ‘Charlie and Company.” St. John, the son of actor Christopher St. John of Shaft fame, became a fan favorite for his role as Adam Marshall on ‘Generations,’ the first black soap opera on television. He won his first two Emmy nominations for his performance on that show. 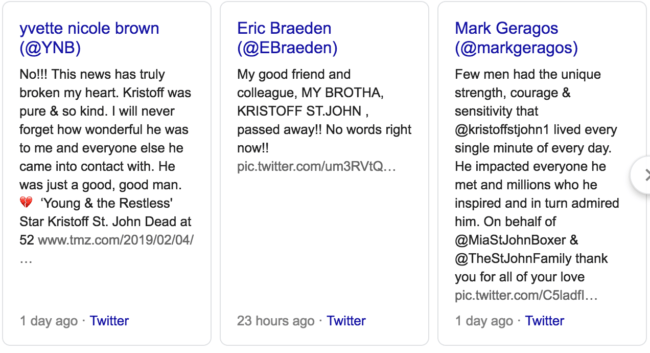 Co-stars and fans have taken to Twitter to express condolences. St. John had been struggling recently with the death of his son Julian, who committed suicide in 2014 while in a mental health facility. The actor had recently been released from a psychiatric facility where he was being treated for depression. He previously took a leave of absence from ‘Young and the Restless’ in October 2017 to undergo psychiatric treatment after a reported mental health related scare. St. John’s death has not yet been ruled a suicide and there are no signs of foul play. He was 52. For more news about this story, follow The Burton Wire on Twitter @TheBurtonWire.